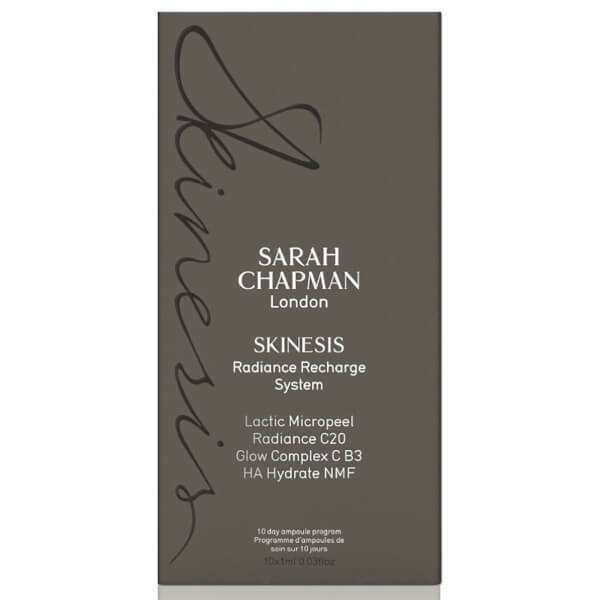 Bring back skin’s youthful glow with the Sarah Chapman Radiance Recharge System, a 10-day regime which aims to replenish luminosity to dull and lacklustre complexions. 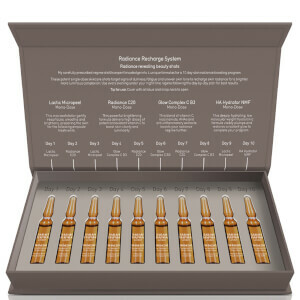 Comprising four types of active skincare shots, the overnight treatment plan uses a powerful group of ingredients such as Chamomile Extract, Niacinamide and Hyaluronic Acid to intensely hydrate, nourish and brighten the skin. Days 1, 3 and 9 offer a Lactic Micropeel, utilising Lactic Acid as a micro-exfoliator to smooth and refine the skin surface in order to prepare it for the treatments to follow. Days 2, 5 and 7 comprise a Radiance C20 shot, which infuses the complexion with high doses of antioxidant-rich Vitamin C to minimise the appearance of dark spots and discolouration. The Glow Complex C B3 for days 4, 6 and 8 uses a potent blend of AHAs to soothe inflammation, while a HA Hydrator NMF ends the 10th day by providing long-lasting hydration for a plumper skin surface and a healthy glow. 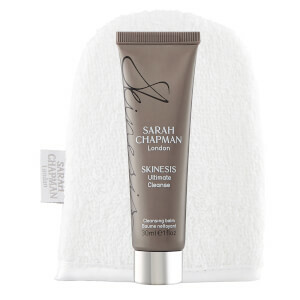 Upon completing the regime, wrinkles are smoothed, brightness is boosted and youthfulness is restored. Use every evening under your night time regime, following the day by day plan. Cover the top of the thin glass ampoule with a tissue and snap to open. Wear an SPF in the day time during the programme. Lactic Micropeel: Aqua (Water), Lactic Acid, Sodium Hydroxide. Radiance C20: Aqua (Water), Sodium Ascorbate, Sodium Bicarbonate, Disodium EDTA. Glow Complex C B3: Aqua (Water), Propylene Glycol, Ascorbyl Glucoside, Alcohol Denat., Niacinamide, Sodium Hydroxide, Tartaric Acid, Citric Acid, PEG-40 Hydrogenated Castor Oil, Phenoxyethanol, Epilobium Angustifolium Flower/Leaf/Stem Extract, Chamomilla Recutita Flower Extract, Disodium EDTA, Ethylhexylglycerin, Xanthan Gum, Sodium Metabisulfite. HA Hydrator NMF: Aqua (Water), Sodium Chloride, Sodium Hyaluronate, Disodium Phosphate, Sodium Phosphate.